Free Ways to Help Sunmart Animal Rescue Team, Inc. "SMART" Raise Much-Needed Funds. 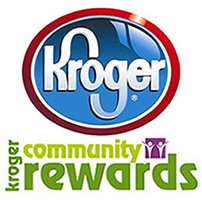 Every time you shop at any of the, Over 700 stores participate in our donation program, including eBay, Lands' End, Staples, JC Penney, Barnes & Noble, Overstock.com, drugstore.com, Office Depot, QVC, Expedia, Home Depot, HSN, Best Buy, Drs. Foster & Smith, Gap, Buy.com, & NORDSTROM. a portion of the money you spend benefits Sunmart Animal Rescue Team, Inc. "SMART". It's a free service, and you'll never pay more when you reach a store through iGive. In fact, smart shoppers will enjoy iGive's repository of coupons, free shipping deals, and sales. To get started, just create your free iGive account. 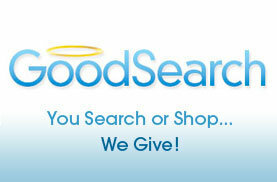 And when you search the web, do it through iSearchiGive.com where each search means a penny (or more!)  for our cause! 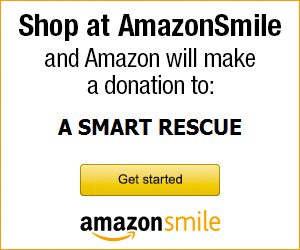 AmazonSmile is a simple and automatic way for you to support A SMART Rescue every time you shop, at no cost to you. When you shop at smile.amazon.com, you’ll find the exact same low prices, vast selection and convenient shopping experience as Amazon.com, with the added bonus that Amazon will donate a portion of the purchase price to us. 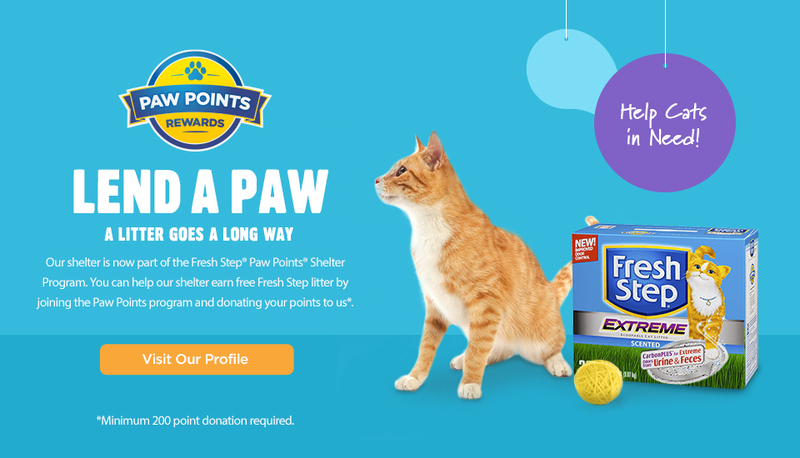 Lend A Paw...Help us earn free Fresh Step cat litter.